I’m very excited that my internet pal Diane Parkin’s book NIGHT CRAWLER is available, so, of course, I had to ask her all kinds of questions! DE: Why set a book in Birmingham? What about the city triggered the desire to use it as a setting? What makes the city unique? DP: There are hardly any books set in Birmingham. There are lots set in London or Manchester, or the rolling countryside of Cornwall or North Yorkshire and it is, after all, our second city. It was also my home town for 40 years and I know it better than anywhere else. One author even said to me: “Nobody wants to read a book that mentions Acocks Green,” and at that time I lived in Acocks Green (pronounced Ay-cox) and I wanted to shout: “Why not? *I* live there, it’s great.” So I included Acocks Green police station and when I did my research I was delighted to learn that the city centre police stations were indeed full of race/drugs-war criminals and Acocks Green was one of the overspill stations. Birmingham has a lot of industrial and cultural heritage, but it’s quite young as far as English history is concerned. Nevertheless, it’s where people migrated during the industrial revolution and when there was no work elsewhere they came to Birmingham. DE: As you worked on the book over several years, were you tempted to make changes to keep it present-day, or were you committed to keeping it set in 1996? The famous Birmingham skyline changed quite radically in the early noughties and lots of places that Marcie visited were either flattened or changed beyond recognition. Plus there was the historical race/drugs-war history that forces the police to take everyone to an out of town police station instead of a city centre one. Also, she lives in a roomy trailer park and they just don’t exist any more with more trailers per square footage than the parks were originally planned for. Then there are the communication issues that wouldn’t be an issue today. Marcie doesn’t even have an answerphone let alone a mobile phone, but if I brought it up to date some of the plot would have to go. Had I decided to continue trying mainstream publishers then yes, I would have updated it but it would have needed extensive re-writing, and I felt as though I’d already spent long enough with the project. It was starting to bore me – although the jokes still made me laugh so I suppose that was okay. DE: Interesting choice to set the murder on Easter, the day of Resurrection. What prompted the choice of date? DP: I think that was the day I started to write it, to be honest. So I was making note of the news and the weather and other such things as I went along. Some authors write series books around a central theme, such as a cinder path or New Year’s Eve, and it was at the back of my mind that if I went with a series, they would start at Easter every year. I needed a bank holiday to slow things down a little, so even when I did the re-writes, I wasn’t tempted to change that at all. DE: You mentioned that you made a lot of character notes. As you worked on the book, how did the characters deviate from your original concepts, if at all? Did you go with it, or make them conform to your original idea, and why or why not? DP: Physically they didn’t change at all, but they did take on minds of their own, they did make friends with people I’d rather they didn’t. I know when a character comes to life because s/he starts to talk to me about regular day to day things, usually when I’m driving. They often say something I wouldn’t have had them say, but I leave it in because I think it gives them more credibility. Every time I learned a new thing about a character, it was added to that character’s notes. DE: When can we expect Marcie’s next adventure? DP: Ooh, now there’s the how-long-is-a-piece of string question. I’ve already planned out the next 2 books, The Beast Within (main theme: schizophrenia) and Snowblind (main theme: bad cocaine), and I have notes and/or titles for another couple – Killer Queen (main theme: HIV) and Fear of the Dark (just the title). I like titles, I can’t go without one, and the idea usually comes from the title. I was originally going to go with just Birmingham rock bands (Judas Priest, The Hansome Beasts, Black Sabbath) but Queen and Iron Maiden are from other parts of the country. I’ve actually started writing The Beast Within as well, but it may take another year before it’s either finished or polished. Now I know I can publish the books myself, I may be motivated to write a bit quicker. I feel as though it needs quite a bit more depth at the moment, though, and until I come up with that depth I might be a bit blocked. On a good night it generally takes the guys about an hour to clear up, pack away and have a quick drink – Coke for me of course, as I’m on the bike. I suppose it was well after midnight by the time I left. Like I mentioned, the Harley was in the car park at the back. The fire door wouldn’t budge. I knew it wasn’t locked as Pendle had already had the Fire Service crawling all over him with the pub being underground. There are plenty of this type in Birmingham, something the Irish terrorists found particularly useful during the 1970s. But a locked fire exit contravenes safety regulations and Pendle wouldn’t risk his licence – not for something like that anyway. Vernon, the doorman who’d not long come in with Pendle, gave me a hand. It still took the two of us to get the thing free. We pushed and shoved until the door gave. As it opened outwards something fell to the floor. We looked down to see someone lying in a crumpled heap in the dim light. “Probably stoned,” grumbled Vernon. He crouched down and rolled whoever it was over to reveal a bloody mess for a face. I clamped a hand across my mouth. Diane Parkin started writing short stories for magazines in 1985 when the writers’ group to which she belonged advised her not to waste her time and get a proper job. She went on to sell commissioned articles to magazines for many years. 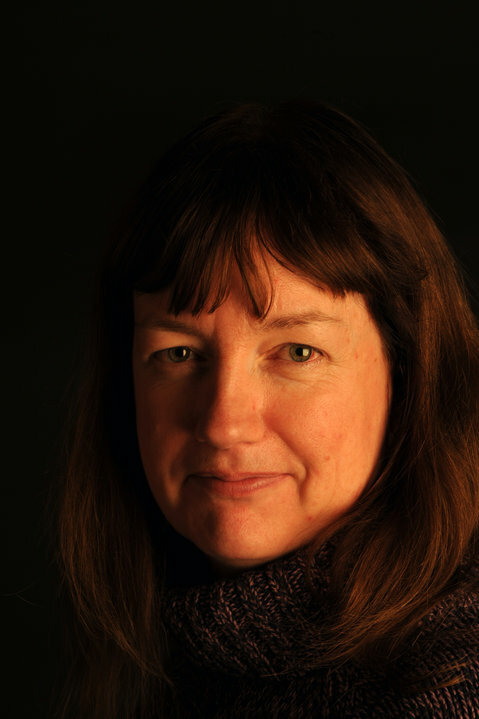 She qualified as a broadcast journalist with BBC Radio WM in 1997, took over one of the classes on the course the following year, and continued as a full time freelance photo-journalist for ten years altogether. She joined an international steel company in 2005 as editor of one of their in-house magazines. Diane has also edited education trade magazines and journals, text books, non-fiction books, and photocopiable classroom resources, and has taught adults creative writing and computer literacy. More recently she has started to produce activity and sticker annuals for children aged 3 – 6. 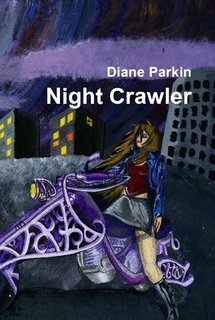 Night Crawler is Diane’s debut novel. She lives in a South Yorkshire pit village in England with her two cats. Visit her blog at Tales from Baggins Bottom and purchase NIGHT CRAWLER here.